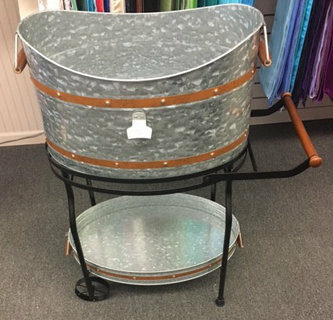 Rolling galvanized beverage stand/cart with serving tray and built-in bottle opener for rent. Great for any party. Note: We do not ship this item. Local pick up only.